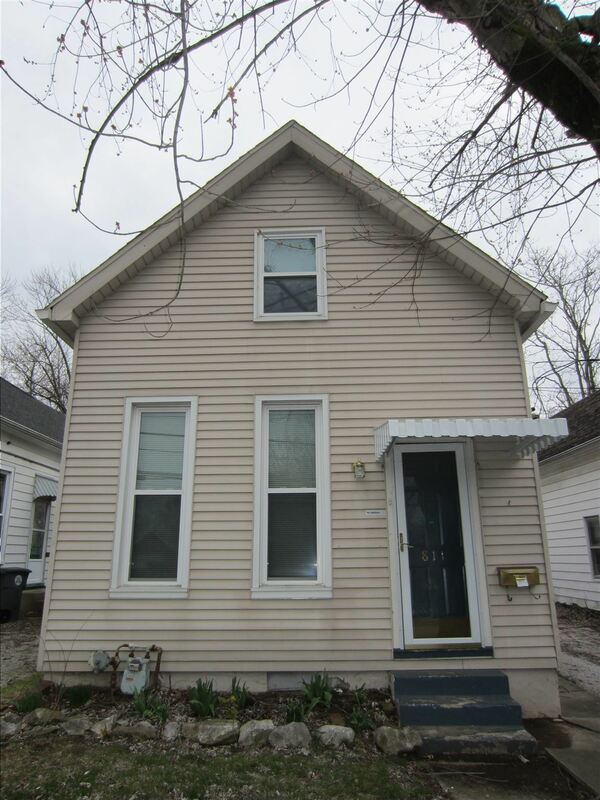 Move right in to this clean, freshly painted, updated 2 to 3 Bedroom home in the heart of Evansville's west side, just down the street from the Hilltop Restaurant! Spacious rooms throughout. The Eat-In Kitchen has white cabinets, the Bath has newer fixtures, including a tub/shower combo. Upstairs you will find 2 more Bedrooms. There is a separate Laundry Room with storage off the Kitchen. The High-Efficiency Carrier Furnace and Central Air were new in 2011 per owner as well as the water heater; the windows have been replaced, newer supply piping, sump pump, and the crawl has newer plastic vapor barrier by SWAT Pest. There is a cellar, great for storage and storm shelter. You will love the glassed-in sun porch off the side and newer concrete patio off the back. There is newer vinyl siding, and the back roof was replaced in 2010. Sale includes: refrigerator, range/oven, disposal, and all blinds. Possession at closing! There are currently no property tax exemptions in place, and taxes will lower significantly when exemptions are filed for the new owner.